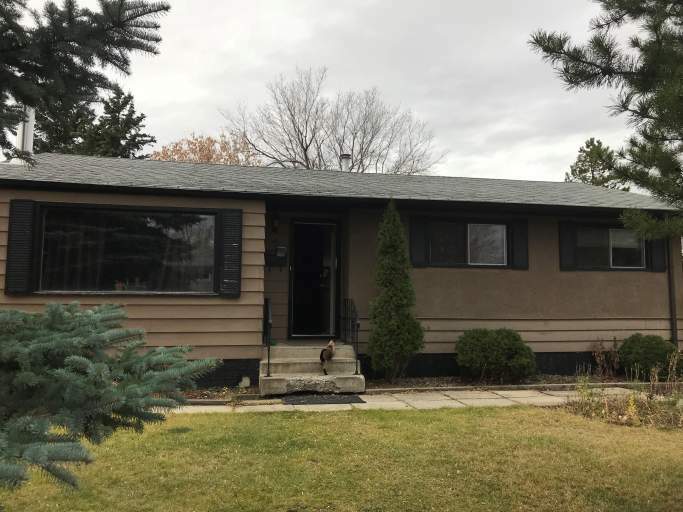 This wonderful home is located in the quiet and convenient neighborhood of Brentwood in Sherwood Park, which features a variety of parks, including Ball Lake Park, and offers proximity to both Salisbury and Bev Facey High Schools! You will also enjoy the Sherwood Park Mall, Festival Place and the amenities off Baseline Road as they are all within minutes of this home! The home itself features a massive fenced backyard, stunning laminate flooring and brand new carpet!! The bungalow offers an open style concept that opens the kitchen into the massive front living room. The kitchen itself is complete with a massive window, filling the entire space with natural light, plus gorgeous cabinets and white appliances including a fridge, stove and even a dishwasher!! The main floor is completed with three spacious bedrooms and a full bath with a tub shower. The basement level offers an additional family room complete with a wood burning fireplace/stove, another bedroom and another full bathroom with a stand-up shower! The laundry is also conviently found in the large basement closet. Don't delay, call today to make a viewing of this perfect bungalow!